As the capacity crowd filed into the Glasgow Film Theatre, there was a palpable air of anticipation and excitement. After months of carefully built-up anticipation, the city’s annual cinematic celebration was about to burst into life. There was no sign of George Clooney, Tilda Swinton, Josh Brolin or any of the other stars of Hail, Caesar! – the Coen Brothers comedy chosen as the big curtain-raiser. But there was no mistaking the feeling that the opening gala of the Glasgow Film Festival is now one of the biggest dates in the industry calendar. How unfortunate, then, that the launch of the event was overshadowed by the latest round of unseemly wrangling over a Scottish film studio. Just hours before Hail, Caesar! had its UK premiere at the festival, Tommy Gormley, the Glasgow-born film-maker who was the assistant director on the most recent Star Wars blockbuster, delivered the most crushing analysis yet of where Scotland’s film industry is at. He said the “harsh, inescapable and unacceptable truth” was that Scotland’s share of film production spend in the UK has slumped to 3 per cent. Branding this figure “catastrophically low,” Gormley went on to bemoan the “shocking” lack of ambition for the film and TV sectors north of the Border. This state of affairs is, of course, is being laid at the door of the Scottish Government and two of its quangos - Creative Scotland and Scottish Enterprise. Mr Gormley’s damning open letter was entirely inspired by a poor performance by representatives from the latter two organisations at Holyrood earlier this month. Just over a year ago, when MSPs were investigating the film industry, they were sprung a major surprise when news emerged of an impending deal which would finally see one built and was said to be just eight weeks from final agreement. 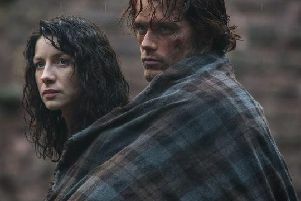 Although Cumbernauld is the most likely location, partly due to the fact a converted warehouse there is already home to time-travel series Outlander, few know where the preferred site for this proposal is due to commercial confidentiality concerns. Creative Scotland is dampening down expectations that a “shiny new studio” is going to be delivered anytime soon. The latest mood music from the government is that any studio will have to be a private-sector led development, due to EU restrictions on what state funding may be used for. This is exactly what is on offer on the outskirts of Edinburgh, with the Pentland Studios project, which the industry has belatedly been rallying support for. The problem is that it not the project at the centre of all the behind-the-scenes talks over the last year. To complicate matters further, the developers of the rival project in the Straiton area have decided they did not need financial support from the Scottish Government – or any kind of support from the planning authority in Midlothian, which is opposed to the loss of green belt land for the project. What they do need from the government is to rule in their favour at the forthcoming appeal, instigated after they bypassed the local authority, which will hear the increasingly passionate arguments for and against the project. But could the green light for the Pentland Studios development kill off interest from the operator at the centre of the other “incredibly complex” proposal which is said to have reached a “critical stage”? I suspect the real dramas are still to unfold.